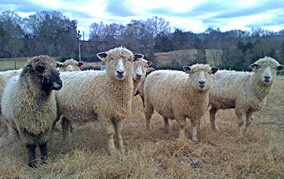 Cotswold wool has many valuable characteristics unique to the breed. 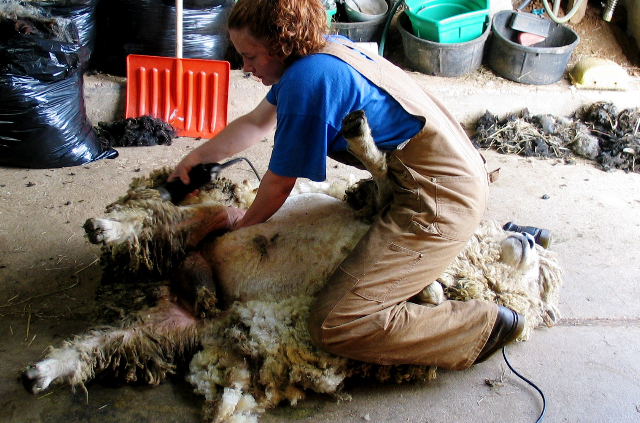 Care should be taken to consider proper fleece traits appropriate to the breed when selecting replacements or offering breeding stock for sale so that these attributes remain strong in the population. A heavy forelock falling over the face is a characteristic of the breed. The fleece has an eight to twelve inch staple length and weighs thirteen to fifteen pounds, with ram fleeces weighing more. Hairs or kemp should be absent in the wool. The fleece will mat or become cotted rather easily and unless it is kept clean and in good condition may become somewhat unsightly. Because the wool is so long and naturally parts along the sheep’s spine, hard cold rains can cause health problems, though low temperatures and heavy snows do not trouble them. The success of using Cotswolds in crossbreeding programs to improve the resultant lamb crop, coupled with the lack of market demand for pure stock (thought to be too large and slow growing for modern marketing expectations) led to the near extinction of the Cotswold by the middle of the 1900s. 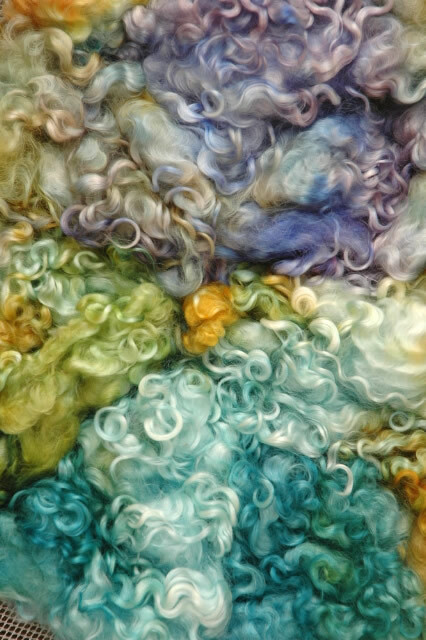 In the last twenty years, however, the breed has experienced a revival of interest, due in large part to the rediscovery of its wool by fiber crafters. Cotswold wool is exceedingly strong, makes particularly durable outer wear, and is added by knitters to sock heels and toes and to elbows in hand-knitted sweaters to improve strength at those wear-points. 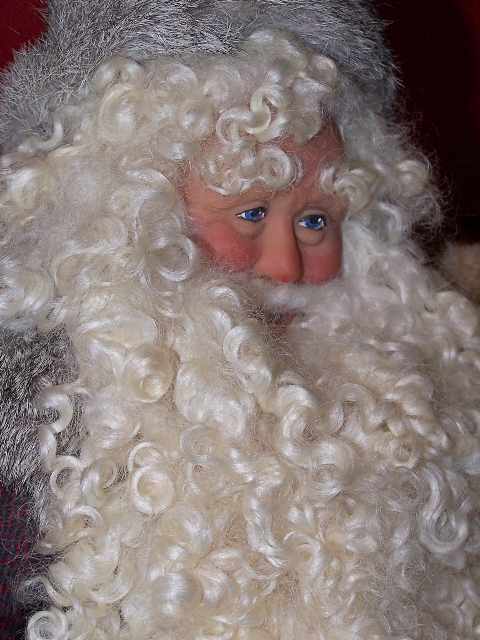 Cotswold makes excellent warp yarn for weaving, felts quickly and thoroughly for those wishing to make felt goods, and the curly locks are often sold as “Santa Claus Beard” and doll wigging material. Cotswold wool takes dye exceedingly well with no loss of luster. The long staple length is also beneficial to beginner spinners and is very suitable for combing, giving the fiber artist options for spinning preparation that shorter wools don’t offer. Until recently, only white sheep were eligible for registration in the Cotswold breed. CBA now registers natural colored Cotswolds as well as whites. These sheep are called black but their colors vary across a beautiful range of silver, bluish gray, and charcoal shades and are much in demand by handspinnners and other fiber artists.